Right before I went on my great adventure across the Atlantic, I went up to the great state of Alaska again - during one of the most gorgeous weeks of August. Since I was there for a full week, I was determined to get out and see something new. In particular, I wanted to get close to a glacier. I seriously, love glaciers and I can't get enough of them. I've been to ones in Alaska, Montana, Alberta, and New Zealand - and I'm always simply astounded by them. So to the Matanuska Glacier I went, along with one of my awesome adventurous coworkers. 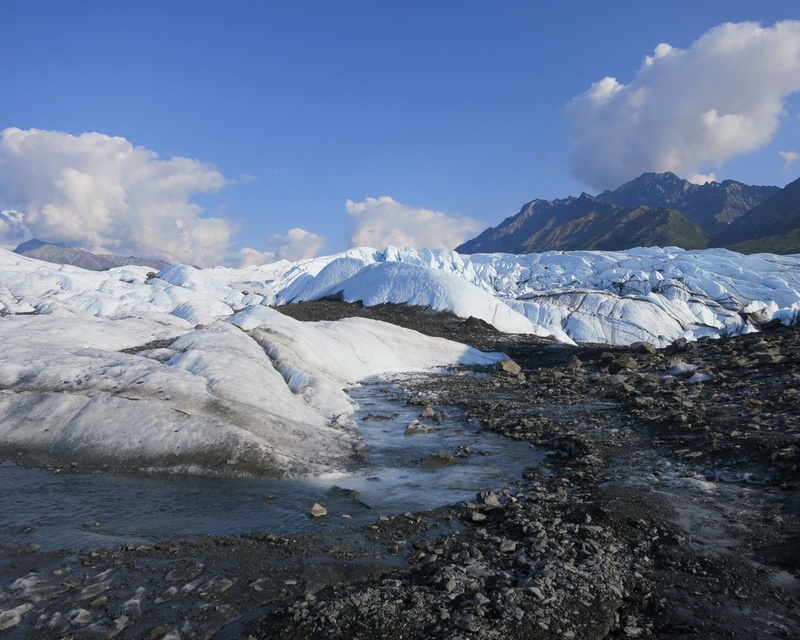 The Matanuska Glacier is a beautiful 2 hour drive from downtown Anchorage along the Glenn Highway National Scenic Byway. At 27 miles long and 4 miles wide it's the largest glacier accessible by car in the United States. Depending on what kind of access you're interested in, you have two options; either stop at the state overlook for a great view or pay a fee to drive right up to the glacier through a private campground. The state recreation area is at mile marker 101 - they have plenty of parking, campsites, and telescopes to get a closer view. If you choose the other option, you'll want to pull into Glacier Park at mile marker 102 - follow the one lane road until you reach the general store/office. Here you have a couple more options; pay $20/per person to get access to the glacier or you can pay extra to go with a guide or on a tour. Either way you can explore the glacier; you do not need to be part of a guided group to explore the glacier - however you do so at your own risk. At the office, you'll need to sign a waiver and understand that if you pass a certain signage point, you're accepting responsibility for anything that could happen to you out there. 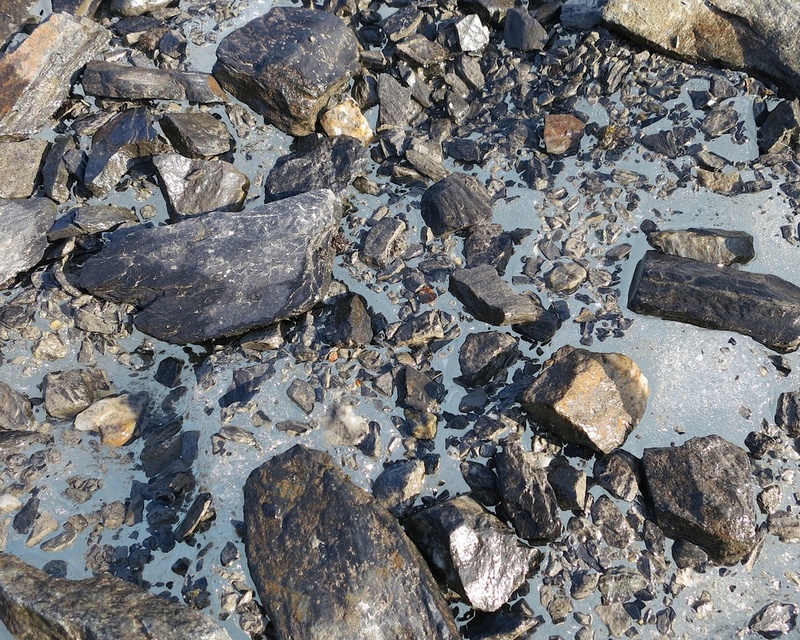 Don't take it lightly, glaciers are dangerous - ice breaks and water can move fast. If you choose the guided walk or decide to take the risk yourself, you'll be walking on ice as you venture away from the parking area and towards the face of the glacier. In the above photo, these are rocks frozen into the ice - it's an amazing feeling to be walking over the ice like this. It's also incredibly slippery in certain parts - so wear the shoes with lots of traction and perhaps considering bringing some trekking poles to steady yourself as you climb over the ice. Walking into this world of ice is simply amazing and it's different from any other glacier I've ever visited. As you make you way towards the face of the glacier, you've walking past towers and hills of ice. Just a totally different kind of landscape to experience. It also astounds me how much access you really have - there are no fences or barriers - just some of the more dangerous areas coned and roped off. With the hills of ice and small valleys to walk through, I can see how easy it would be to get lost as you wander. In such a peaceful place like this, you may actually want to get lost, at least for a little bit. 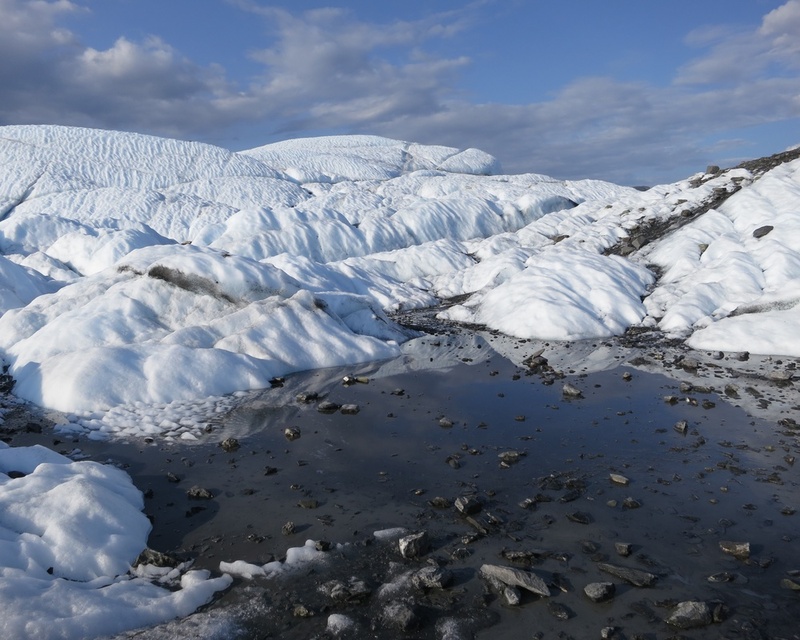 If you find yourself at the face of the Matanuska Glacier, make sure to really take time to breath in the beauty of ice. The shades of white, blue, and black just make me think about the amazing art created by the natural world. Are you a glacier fanatic? Which ones have you visited or do you dream of visiting?